In this post, BPC's archivist, Anne Kumer, shares some park history. This post also appears on NYC Circa, a history blog about New York City and its public spaces. With the sesquicentennial of the American Civil War upon us, I've been searching for a direct connection between the American Civil War and Bryant Park. The park, then known as Reservoir Square, was most likely used as an encampment for Union soldiers during the war, but I think that was true of most parks and public spaces in the city. That, and this little bit below, are about all I have for now. I'm not a Civil War historian, which is probably my first hindrance to success. That said, I will be attending all of the Reading Room's Word for Word Non-Fiction discussions highlighting the Civil War, co-sponsored by the New-York Historical Society and Oxford University Press. 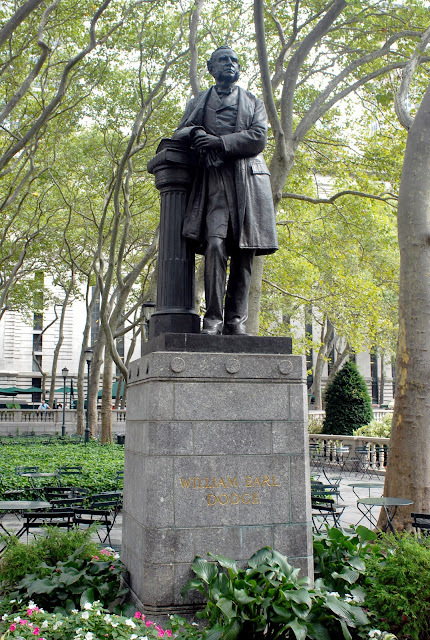 At the east end of the reading room stands a monument to William Earle Dodge, founding member of the American chapter of the Y.M.C.A., New York 8th District Congressman from 1866-1867, and Native American rights activist. He was also the father of one of the youngest Brigadier Generals in the Union Army, Charles Cleveland Dodge, who aside from his commitment to public service, shares his father's stance. 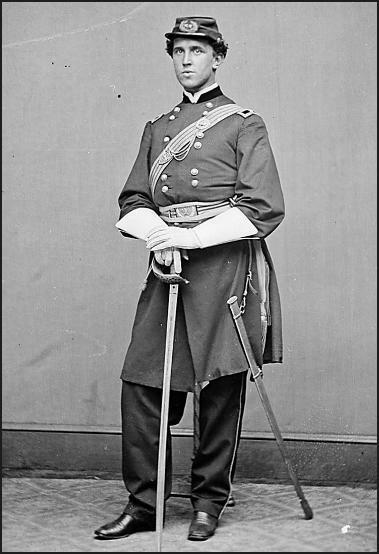 Though Dodge left the service in June1863, he returned to volunteer with the U.S. Army to restore order in the city during the Draft Riots under Major General John Z. Wool. Transcripts of Wool's reports are available online. The Draft Riots, still considered one of the largest (and by day three) heinous acts of civil disobedience in the country, waged on for four days throughout the city from July 13 - July 16, 1863. This week's Word for Word discussion features renowned Lincoln scholar Harold Holzer who will discuss his book The New York Times Complete Civil War 1861-1865.